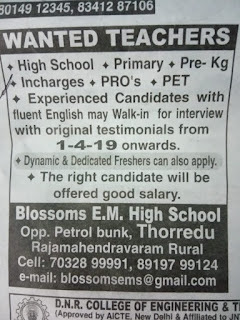 Vacancies. For these jobs you can attend walk-in Interview from 1-04-2019 Onwards. 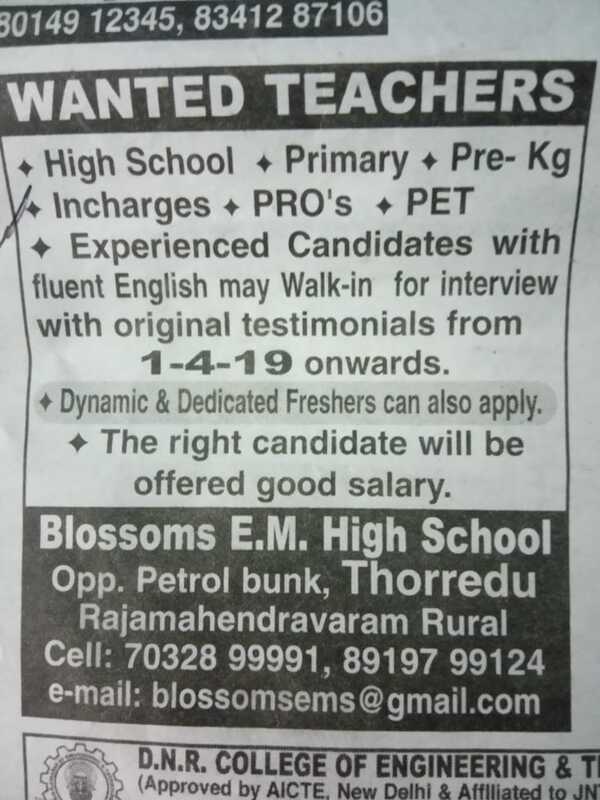 Interested candidates can attend walk-in Interview with all Original Educational Certificate for Blossoms E.M High School Teachers/Incharges Jobs. Available Teachers/Incharges vacancy, Salary, Email-id, Important dates, Application Procedure, Qualification are maintained below. Starting date for Teachers/Incharges Jobs: 01-04-2019. Eligible candidates can attend the walk-in interview with all original Educational Certificates strat from 01-04-2019 onwards to College address given below.